the UK. We're here to help. London. It's all we do. people who live in London. the reviews speak for themselves..
Been hunting for cheap car insurance in the London area for a while. Insurance companies seem to overcharge when you live in London. To my surprise CarInsurance.London is actually on par with areas outside London! Cheers! I Just moved to London and was told by a friend to try this company out. Couldnʼt be more pleased with the price and service. 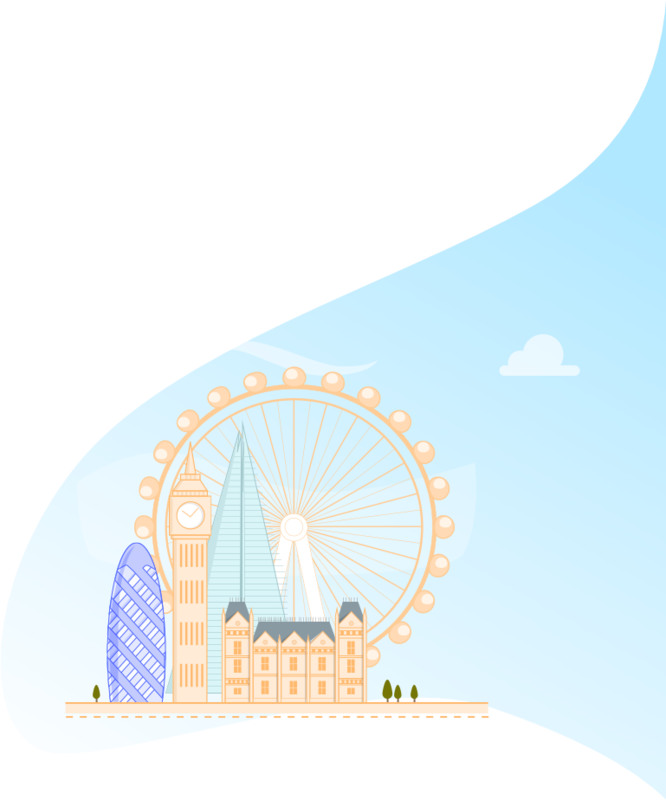 I was surprised to see a car insurance site dedicated to just London car insurance. I thought it would be a gimmick, but I did in fact receive a better price than elsewhere, would recommend to a friend! Cute and simple website and the quotes I received were beyond competitive. Finally I can afford that jacket Iʼve been wanting due to the savings I got using this site. compare van quotes in under 3 minutes. As long as you live inside the M25 we've got you covered. postcode on the left, we can insure you. Oopps something went wrong. Please try again. focus purely on bringing this price down for Londoners. Why use us to get car insurance quotes? You could just call around insurers, seeking cheap car insurance on your own, though it will take a lot of time and potentially cost you a lot of money. CarInsurance.London is an independent car insurance specialist with extremely strong ties to insurance companies, brokers and intermediaries. Simply complete the easy online car insurance quote form to gain a choice of competitive prices, policies and benefits from a wide range of car insurance schemes. If you prefer to compare car insurance in person then call our team of specialists for assistance. In many circumstances we are able to beat our online car insurance quotes by asking just a few additional questions. Struggling to find cheap car insurance quotes? Then use CarInsurance.London, the car insurance comparison site, exclusively for Londoners. Simply complete our quick quote form now. If you do not already own a car then choose one that best suits your needs, as you could find it brings in far cheaper car insurance quotes. If you only plan on using your car for small deliveries then you should probably go for the smallest car that will do the job. Look at a variety of makes and models. Often cars from very similar manufacturers will bring in quite different car insurance quotes, so look at a few to find out which would bring you the lowest premium. Think about security. More security features will mean cheap car insurance is more likely. Choosing a car with strong locks, an alarm and immobiliser is a good start. Also, by parking in a garage or on a driveway overnight, car insurance will often cost less than if you leave the vehicle on the public roads. Look at the cover and what you do not need. If you only ever use your car for local journeys then a policy with EU cover probably isn't going to be cost effective, so stick to car insurance cover. Car insurance quotes often include a replacement vehicle service but if you have a spare car and do not need one then mention this when you compare car insurance quotes as it should lower the cost. Still have questions regarding car insurance quotes and how to find the right cheap car insurance? Then call our dedicated London team now. How Car Insurance Quotes are calculated? Car insurance companies classify vehicles into groups. Insurers rate each car with a number, usually between 1 and 20, with regard to how much of a risk they believe it is. If your car is in a higher group then it is considered quite risky so will be more expensive to insure, where's owners of lower group cars will enjoy cheap car insurance. The groups are chosen after examining the historical accident rate with that type of car, as well as the likely cost of repairing it following an accident. Usually, the larger and heavier the car, the more it is thought to be harder to drive and expensive to repair, so car insurance quotes will likely be higher for a large car. Unfortunately your post code is not with the M25. Group Address: CarInsurance.London. 2nd Floor, Abbott Building, Waterfront Drive, Road Town, Tortola, British Virgin Islands. We help you save money on car insurances. serving in areas El Whitechapel. Stepney. Mile End. E1W Wapping. E2 Bethnal Green. Shoreditch, E3 Bow. Bromley-by-Bow, E4 Chingford, Highams Park. E5 Clpoton. E6 East Ham, E7 Forest Gate. Upton Park, E8 Hackney. Dalston. E9 Hackney. Homerton. El0 Lyton. Ell Leytonstone, Ell Manor Park. E13 Plostow. E14 Poplar. Millwoll, Isle of Dogs. Docklands. E15. Stratford. West Ham. E16 Canning Town. North Woolwich, Docklands. E17 Walthamstow. En South Woodford. E20 Olympic Park. WC1 Bloomsbury. Grays Inn. WC2 Covent Gorden. Holburn. Strand. ECI Clerkenwell. Finsbury. Barbican. EC2 Moorgate. Liverpool Street. EC3 Monument. Tower Hill. Aldgate. EC4 Fleet Street. St. Pauls. N1 Islington, Bornsbury. Canonbury. N2 Wost Finchley. N3 Finsbury Pork. Manor House, N5 Highbury. N6 Highgate, N7 Holloway. N8 Hornsey. 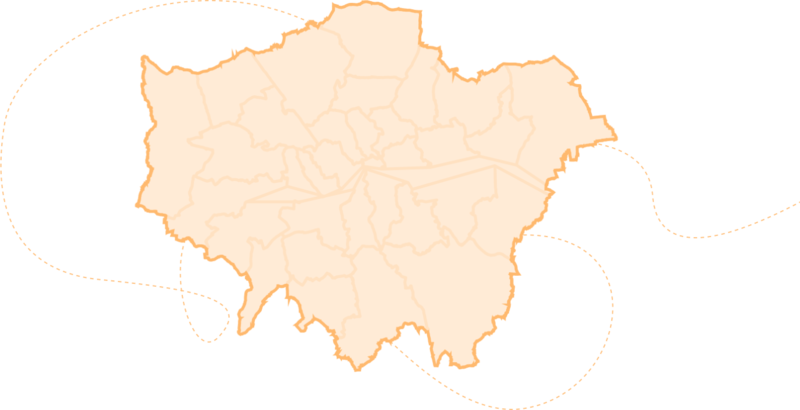 Crouch End and more areas. We focus on all areas within the M25. *Prices are based on the average saving amount of customers (£114) who use CarInsurance.London, the map is for illustrational purposes only. **Saving amounts shown are based on the average amount our customers save and the map is for promotional purposes only. The website www.carinsurance.london is regulated for use in the United Kingdom through CoverCompare.com Ltd, registered in England and Wales (Registration No. 07529005), with the registered address at 4 Bedford Row, London, WC1R 4TF. CoverCompare.com Ltd are authorised and regulated by the Financial Conduct Authority (FCA) under Firm Reference Number 607701. www.carinsurance.london is owned by InsureTec.com Ltd (BVI Co 1705233) 2nd Floor, Abbott Building, Waterfront Drive, Road Town, Tortola, British Virgin Islands. © Copyright CarInsurance.London, All Rights Reserved.